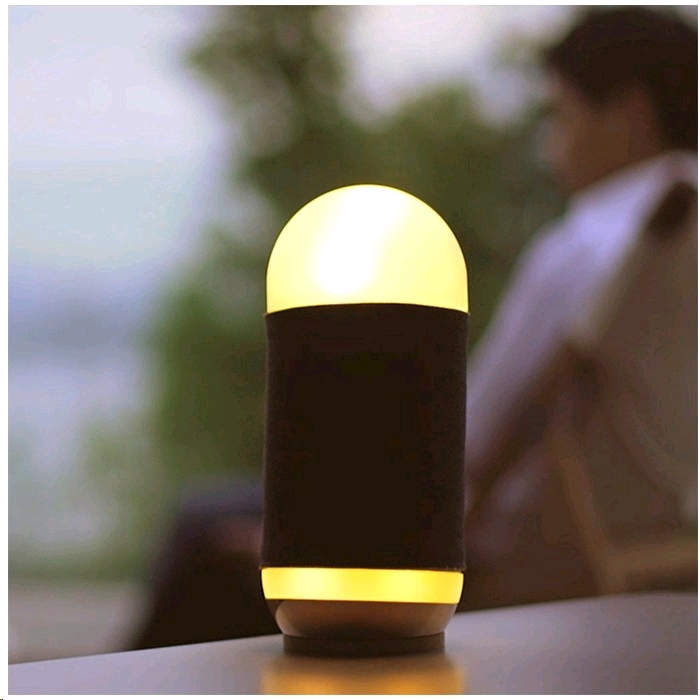 Moodbox is a wireless intelligent speaker that can converse with you and play music to help you relax. 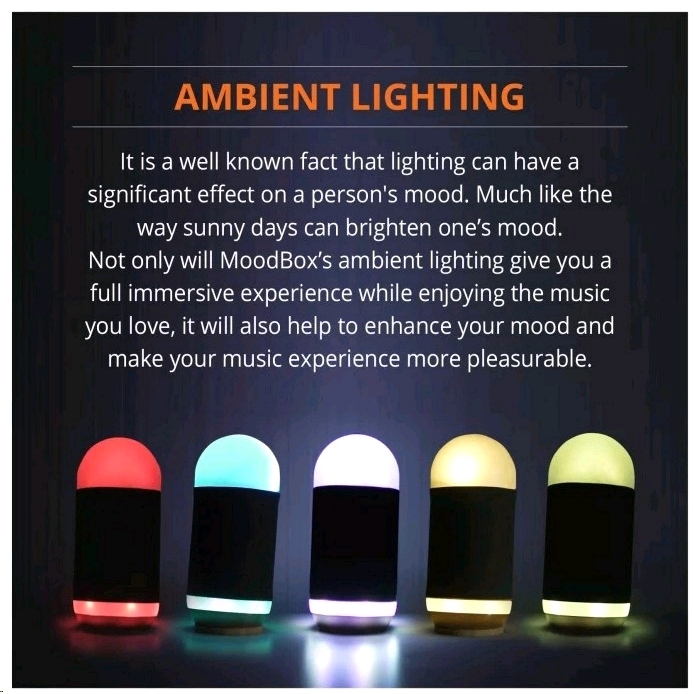 It features high-quality speakers and expressive lighting that makes your room look and sound atmospheric! 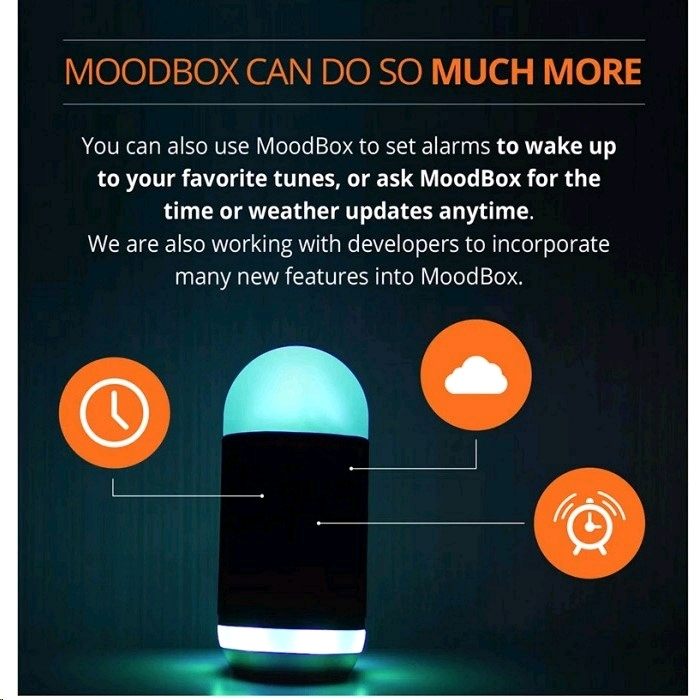 Moodbox is powered by an emotionally intelligent virtual agent called Emi. 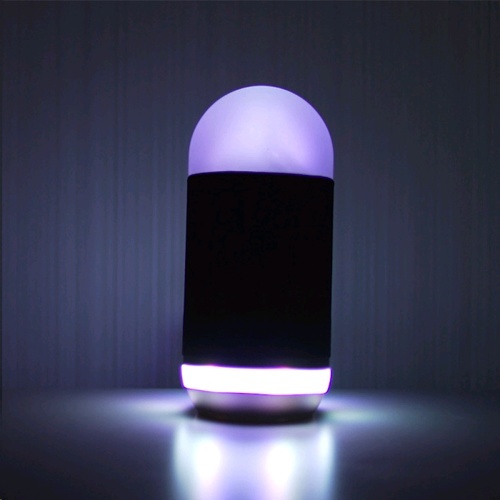 Emi can recommend different music for different times of day and different occasions. You use the wakeup word “Okay Emi” to activate the Moodbox and then speak to Moodbox for e.g. “play some workout music”. The high quality sound you will receive from your Moodbox is the result of top notch materials, acoustic design and exceptional craftsmanship. 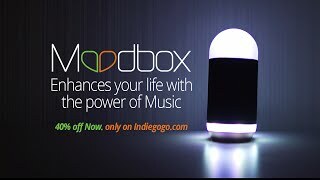 MoodBox’s crystal clear 360° Hi-Fi sound lets you enjoy your music in the highest quality. 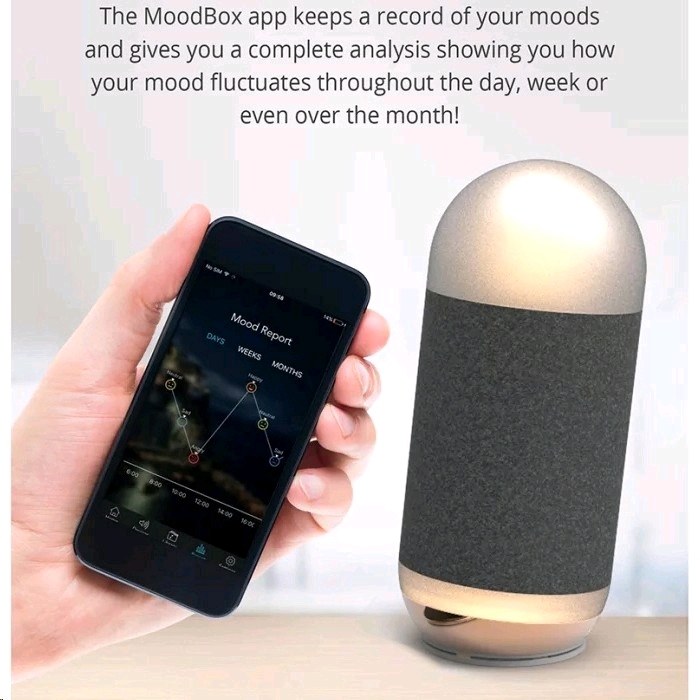 Find the Moodbox's user manual here.